Well, the August 28 Day Weight Loss Challenge is just about done and dusted and we have ONE WEEK before the September – BOOTY BUSTING BOOTCAMP – Challenge kicks off (If you haven’t already, be sure to sign up!). So, what shall we do during the week leading up to the next Challenge? 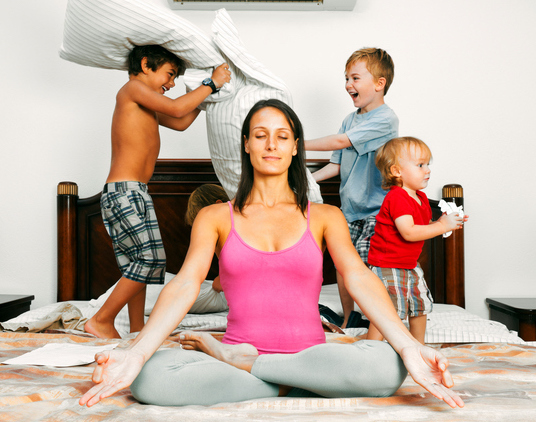 How does relaxing and squeezing in seven days of zen with The Healthy Mummy MIND.BODY.BREATH sessions sound? This week on the 28 Day Weight Loss Challenge we are CLEANSING and RELAXING! Ss part of GAP WEEK we are taking part in a 7 DAY CLEANSE (be sure to check out the fresh, light recipes on the App Meal Plan). 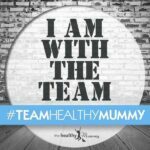 The Healthy Mummy MIND.BODY.BREATH sessions are designed to support mindful motherhood (and compliment your exercise program while following the 28 Day Weight Loss Challenge). It is designed to help reduce stress and improve mood among pregnant women and early mums, enhance your connection with self-care practices and really thrive through the transformation of motherhood. All Healthy sessions begin with a MIND.BODY.BREATH warm-up, to get you settled and prepared. We recommend you begin your Healthy Mummy guided MIND.BODY.BREATH practice by doing it twice a week. Start slow and gradually grow your practice so that it becomes a habit. Your aim is to be able to do it daily. Set a reminder for yourself as a morning or bedtime ritual. Find a time that works for you. Bear in mind there is no perfect way to meditate. It is simply important that you are at peace, relaxed and happy you are doing it. Choose a quiet space where you’re not likely to be disturbed. Sit or lie comfortably. Your posture makes a difference. Make sure you are relaxed, comfortable and steady. Sit or lie with your spine straight, keeping your shoulders and neck relaxed. Clear your mind – let go of tension and stress and bring the mind and body into a state of calm and peace. Concentrate on your flow of breath and on how your body moves with each inhalation and exhalation. Focus on the guided MIND.BODY.BREATH session or visualise an object or focal point. Continue to breathe. Deep breathing in and out helps to steady the rhythm of the breath and leads the mind into a peaceful, meditative state. Smile when you are done and be grateful that you had this time to yourself. It is a state of deep peace that occurs when the mind is calm and silent. We are often so busy we feel there is no time to stop and meditate! MIND.BODY.BREATH actually gives you more time by making your mind calmer and more focused. You can do it anywhere.Sitting MIND.BODY.BREATH is the best place to start. How to find the MIND.BODY.BREATH SESSIONS in the Challenge App? Love the SOUND of these sessions but NOT a Challenge Member? 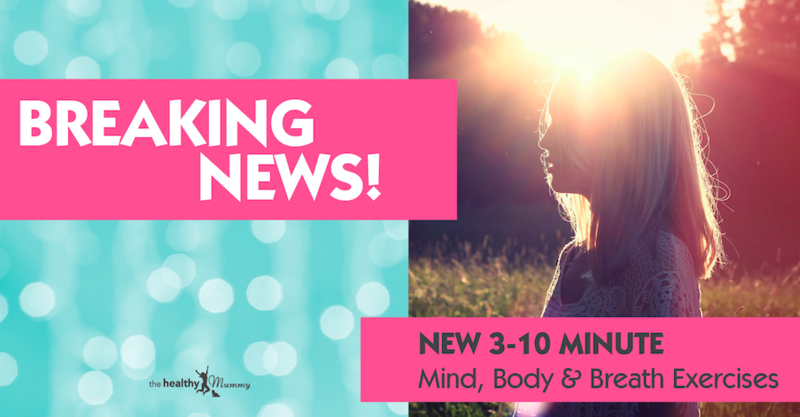 Not a Challenge member yet but LOVE the sound of these calming, relaxing MIND.BODY.BREATH sessions – then be sure to check out our 28 Day Weight Loss Challenge. These sessions are available to ALL CHALLENGE MEMBERS! What’s more – you can follow these awesome, chilling sessions BEFORE starting the SEPTEMBER BOOTY BUSTING BOOTCAMP CHALLENGE on SEPTEMBER 3. That way you will feel extra motivated, determined and focussed before taking on a new Challenge. Our 28 Day Weight Loss Challenge in particular has been able to help mums lose their baby weight, tackle their health and HIT their weight loss goals. And our September Challenge is all about helping you tighten and tone your bum and thighs in time for SUMMER! You can learn MORE about our 28 Day Weight Loss Challenge here.